Has it come up yet that I received an AeroGarden for Christmas? Well, if not, just know that it's fabulous! And being able to add fresh mint, to my lemonade concoction is 100% fabulous! Lemonade requires 3 things: Lemons, Water, Sugar. Making a simple syrup by heating the water and sugar is also recommended so that your lemonade is evenly sweetened. 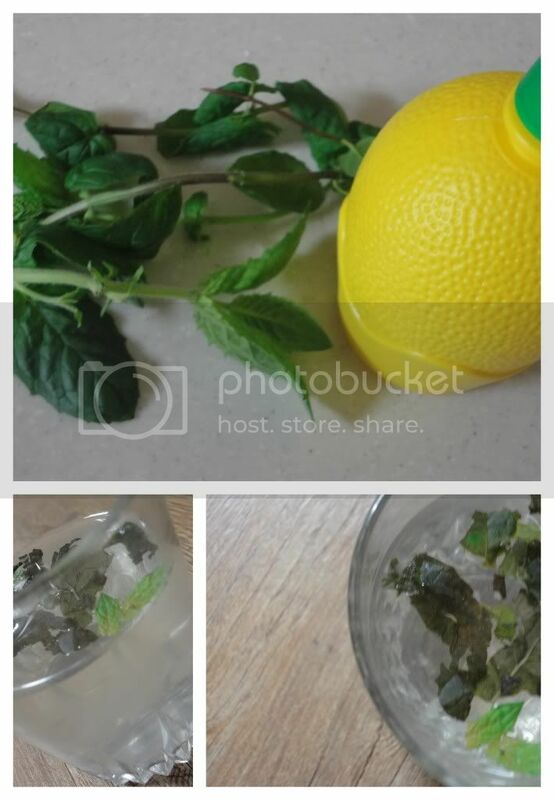 Add a few fresh leaves of Mint and you're sure to enjoy a great touch of refreshment. If you're using 'fake lemon' maybe start out with less than the recommended amount and up the anty until you have a lemonade that suits your taste...obviously, fresh lemon would make the drink that much more enjoyable. For more exact directions and the source of my personal inspiration, head on over here to Martha Stewart's website.